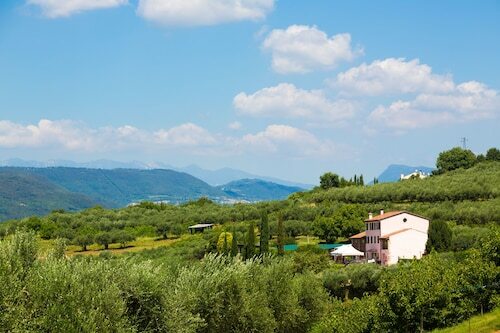 Lovely hilltop location overlooking olive groves and the city of Verona. 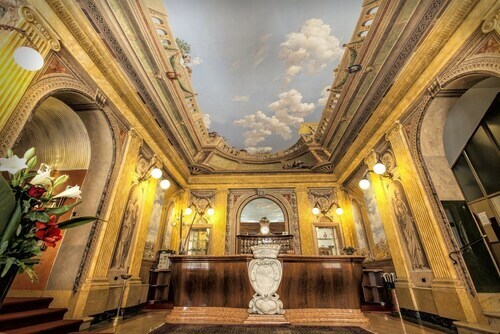 Very centrally located hotel that allows for easy walking access to everything in Verona. 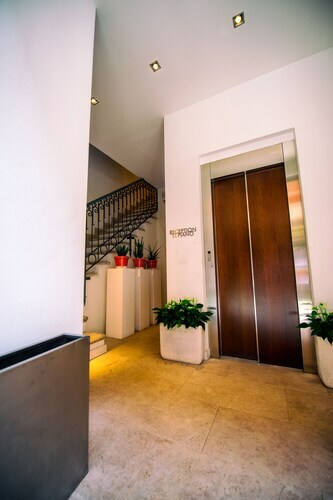 It's located right in the heart of Verona steps from marketplace and piazza. Lady Capulet was a Perfect apartment for our two night stay in Verona! Where to find Verona hotels near an airport? How can I find hotels in different Verona neighborhoods? Where can I find hotels in Verona that are near tourist attractions? 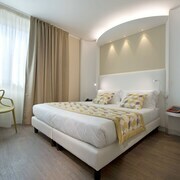 If you are deciding on where to base yourself in Verona, you will find a broad range of comfortable possibilities. Spend some time looking through Expedia's 205 hotel options, all of which can be found within a 0.1-kilometre (0.06-mile) radius of central Verona. 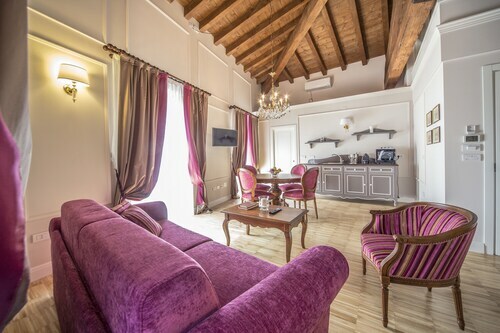 Within 1 kilometre (0.6 miles) of Verona's heart, travelers will find some great accommodation options, including the Grand Relais The Gentleman of Verona - Guest House and Due Torri Hotel. 0.2 kilometres (0.1 miles) from the heart of Verona is the neighborhood of Verona City Centre. This boasts 77 Expedia-listed hotels. The Locanda Ippopotamo and Hotel Gabbia d'Oro are some of the hotels in this area. Another option is Valpolicella Wine Area. This area is 9 kilometres (6 miles) from the center of Verona. Valpolicella Wine Area's places to stay are the Hotel Villa del Quar and Palazzo Victoria. An alternative is Pescantina. Pescantina offers the Villa Quaranta Tommasi Wine Hotel & Spa and Ai due Pini. 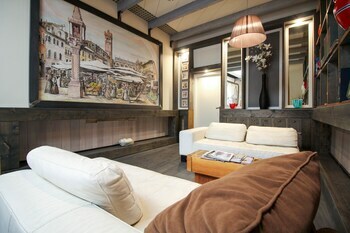 Or, try San Martino Buon Albergo, where you'll find the SHG Hotel Catullo Verona East and Best Western Hotel Turismo. The Villa Gesi and Agriturismo Canova can be found in Negrar, while Villa Bongiovanni and Hotel Due Colonne are part of the San Bonifacio area. 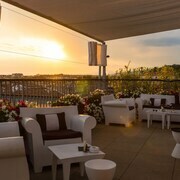 The Escalus Luxury Suites Verona is near Castelvecchio. Another close option is the Hotel Antica Porta Leona & SPA. 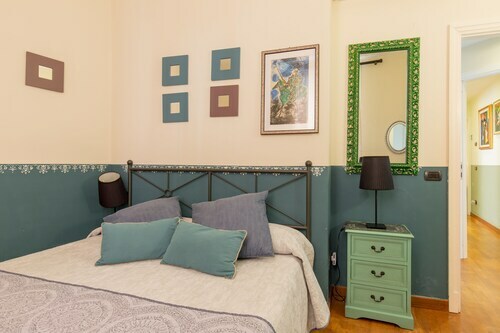 If you'd rather stay near Piazza delle Erbe, you could also check out the Opera Relais de Charme or the Relais de Charme Il Sogno di Giulietta - Guest House. The Ponte Scaligero, another well-known Verona attraction, is not far from the Ca' dell'Orto and the Le Suite Di Giulietta. 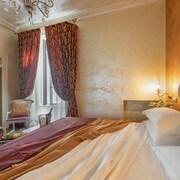 Hotels that are near the Juliet's House include the Residenza Giuseppe Verdi and also the Hotel Accademia. The Verona area has a selection of affordable hotel options sure to satisfy even the thriftiest travelers. 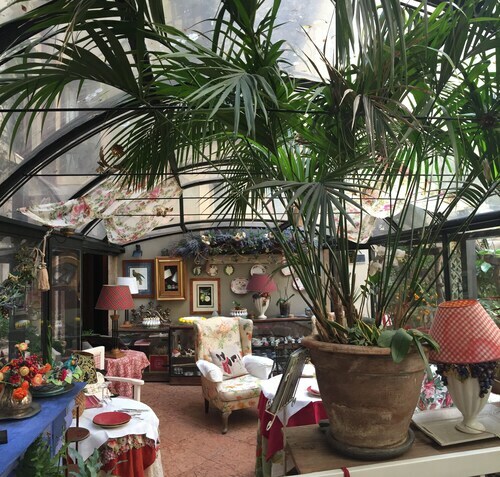 0.2 kilometres (0.1 miles) away from Verona's heart is the VeronAntica B&B. The B&B Al Teatro is just 0.4 kilometres (0.3 miles) away. Some more options in the lower price range are the Arena Inn B&B and the Hotel Fiera. 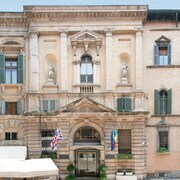 Check out the Villa Cordevigo Wine Relais or the Palazzo della Scala. The Villa Cordevigo Wine Relais is positioned 18 kilometres (11 miles) away from the middle of Verona. The Palazzo della Scala, is located 20 kilometres (13 miles) away. Two more places to stay around this area include the Byblos Art Hotel Villa Amista and the Hotel Corte Valier. Once you have explored Verona, you should leave time to investigate the wider region of the Veneto area. Photographers will love Veneto's beaches. You should also spend time at the area's ruins and castles. Visitors and locals alike in this section of Italy often enjoy snowboarding and skiing. 1 kilometre (1 mile) to the southwest of Verona is Cittadella, where you'll find Tomba di Giulietta and Loggia del Consiglio. 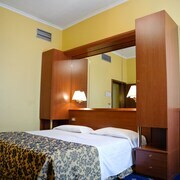 The Delser and Grand Hotel are a few of the great hotel alternatives in Cittadella. Or, you could stay in Historic Centre, 70 kilometres (43 miles) to the east of Verona, where you can pick from the Methis Hotel and Majestic Toscanelli. If you're staying in Historic Centre, you might like to visit the Musei Civici agli Eremitani and Palazzo del Bò. Valerio Catullo Airport is a convenient airport, and is 8 kilometres (5 miles) from Verona. Accommodation options nearby are Hotel Veronesi La Torre and Residence Cà di Capri. What are the most popular Verona hotels? Are there hotels in other cities near Verona? What other types of accommodations are available in Verona? Explore Verona with Expedia.ca’s Travel Guides to find the best flights, cars, holiday packages and more!